Keshav Aabaji Educational Institute – Tadwal | Cancer Research Project - Ayurved Hospital and Research Center - Bharatiya Sanskriti Darshan Trust . :Ayurveda for Cancer:. The two most important forces behind India’s march ahead its’ great cultural heritage and its’ ability to successfully take to modern science and technology. Yet it would be wrong to say that the consciousness of these forces has penetrated in an equal measure in the vast country side as it has in the urban centers. The need to involve the rural or semi- urban communities in the historic march is therefore very clear. Bharatiya Sanskriti Darshan Trust, set up by revered shri. Prabhakar Keshav Sardeshmukh Maharaj in 1954, is dedicated to the twin objects i.e. cultural enrichment of the new generation and enhancement of its ability to face the challenges of the modern times. The revered “ Maharaj” the founder of the Bharatiya Sanskriti Darshan Trust, had felt a strong commitment to initiate social and educational work at Tadwal (Tal. Akkalot. Dist. Solapur) being his birth place. In response to this wish of Maharaj, the Bharatiya Sanskriti Darshan Trust established “Keshav Abaji Institute”, locating it in the “Wada”, which is sanctified by the birth and stay of Parampoojya “Maharaj”. 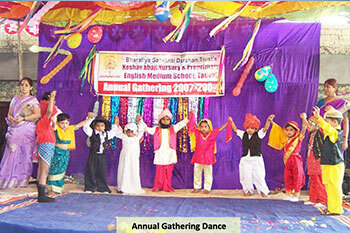 A humble but confident step was taken by the trust by launching the English Medium School (“Keshav Abaji Nursery and Pre- Primary English Medium School) and the computer Institute (“Keshav Abaji Computer Institute”) in memory of Keshav Abaji Sardeshmukh – father of Parampoojya Maharaj. On the auspicious day of “Gudi Padwa”. Thursday the 30th March 2006 Maharaj’s Photo was installed and under the benevolent eye of “Maharaj” the two education institutions the School and the Computer Institute formally come into existence. We often speak about the rural urban divide but do little precious to improve the situation. The Trust believes that the children presiding the scrawling rural areas can be brought within the process of modernization through the dual link of English language and software technology. We have made in Tadwal a humble beginning in that direction. 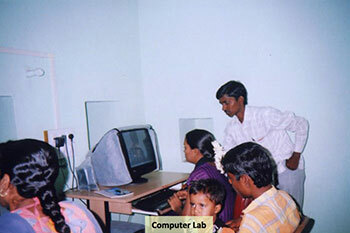 During the short span of few years we have made our presence felt among the families in Tadwal vicinity. They are looking up to our school and the computer center as a welcome emerging center of modern education, when in the annual social function and on other occasions they see a distinct change in the cultural and intellectual level of the school children. Their motivation to support our effort greatly increases for us such social support of immense importance. 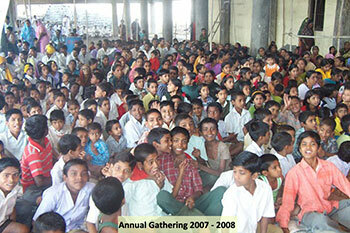 The school has received permission to run the classes till 7th standard and permission for S.S.C. is under process. Here we must with pleasure and due pride mention that through the efforts of trustees and closely associated well wishers the trustees likely to receive financial support on International level. Running a well-equipped institute at very nominal charges which are affordable for villagers is certainly a huge affair. We have also planned construction of school building which will be more spacious and students will get a better atmosphere to learn. The expansion of Computer Institute in number of computers is also under consideration. 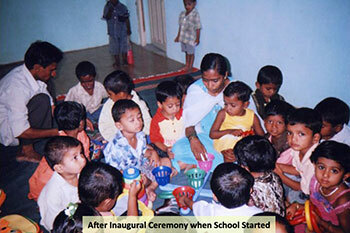 We welcome donors who want to contribute towards the education of rural children. The donations are entitled to exemption u/s 80 (G) of I. T. Act, u/s 35(1)(ii) of I. T. Act & FCRA to a donor. Donation amount in Cheques / Drafts are accepted in the name of : “ Bharatiya Sanskriti Darshan Trust ”. Your valuable suggestions and donations are most welcome in order to help us in carrying out the multiple activities, towards our objectives. For Our Institute, One of the most motivating factors it its faith that our traditional Indian Culture and Philosophy is rich in content and style. Hence all of will do well if we cherish it and promote it. It has sustained our body and soul over the past and it will do so in future. In this endeavour we will always have the blessings of our Revered Maharaj.